Going green to save some green. For your convenience, this post might contain affiliate links. If you shop using these links, I might make a small commission at no additional cost to you. The full disclosure isn't nearly as interesting as these eco-friendly tips, but you can read it here. Are you thinking about making the switch to beeswax wraps but you’re wondering how to care for reusable food wrap. 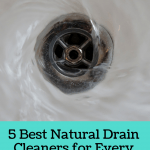 You’ll find all the answers you need to know right here! Reusable food wrap is typically made using beeswax, which is why some people also call it beeswax wrap. It’s an excellent sustainable option for storing leftovers in your kitchen. If you’re looking for some easy ways to reduce plastic use, one simple switch you can make is to choose reusable food wrap over plastic food wrap. You can learn more about reusable food wrap and how to use it here. However, if you’re wondering how to make it last as long as possible, you’re in the right spot. If you haven’t picked up your reusable food wrap yet or you’re looking for some new beautiful designs, be sure to check out the selection in the Earth Friendly Tips store. Then you’re ready to learn everything you need to know about how to care for reusable food wrap. If you used your reusable food wrap to cover a bowl and it hasn’t gotten dirty, you can simply fold it up and store it until the next time you need to use it. On the other hand, if your reusable food wrap is dirty, you’ll need to wash it. The key to washing reusable food wrap is to use cool water and a biodegradable soap. You want to use cool water because hot water can cause the beeswax to melt. Additionally, beeswax is soluble in alcohol. If your soap lists alcohol as one of the first five ingredients or the label doesn’t list the ingredients at all, you’ll want to switch to something milder. After you clean your reusable food wrap, you can either hang it up to let it air-dry or pat it down with a towel. When you’re ready to store your reusable food wrap, you have several options. You can fold it up and place it in a cabinet, roll it up and place it in a drawer, or keep it in a basket on your counter. The nice thing about reusable food wrap is that it doesn’t require any type of special storage. Can You Freeze Beeswax Wraps? Not only can you refrigerate reusable food wrap, but it can also help you keep foods fresh in the freezer for up to three weeks. When reusable food wrap gets cold, it hardens into place. If you’re having a hard time unwrapping it when you take it out of the freezer, don’t put it in the microwave or oven. The heat will cause the beeswax to melt. Instead, simply let it sit out on the counter for a few minutes to let the natural room temperature start to soften it, or hold it in your hands for a minute so your body heat can soften it. 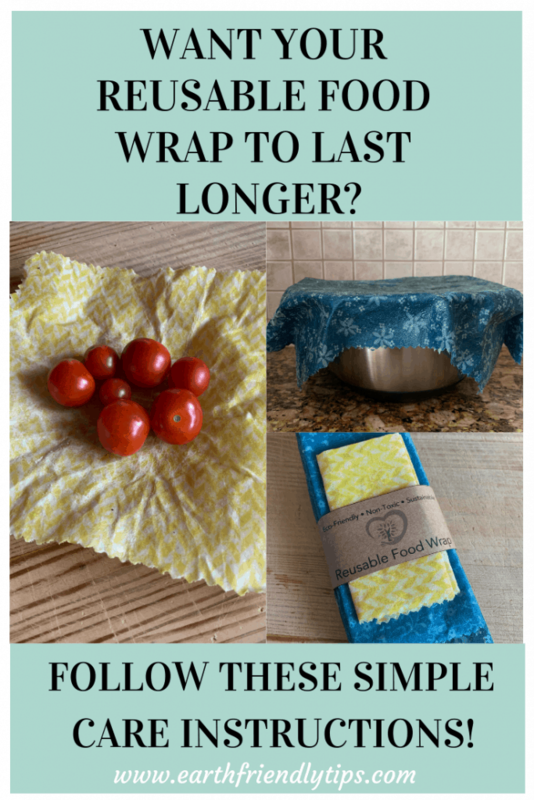 How Long Will Reusable Food Wrap Last? With proper care, you can expect your reusable food wrap to last for up to a year. You’ll know your beeswax wrap has reached the end of its useful lifespan if it has problems sticking to itself. What Do I Do With Worn Out Reusable Food Wrap? With plastic food wrap, you use it once and then throw it away. However, that’s not the case with reusable food wrap. Since beeswax wrap contains only natural ingredients, you can either cut it into strips and toss it on your compost pile or use it as a natural fire starter. After that, don’t forget to come back to the Earth Friendly Tips store to pick up your next set of reusable food wraps. 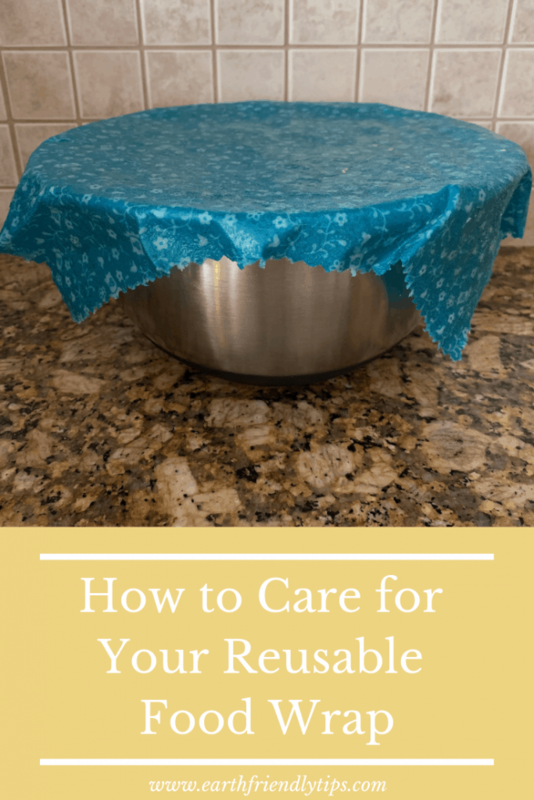 Now that you know how to care for reusable food wrap, you can make it last for as long as possible. Not only does this help you save the environment, but it also saves you money since you don’t have to keep buying single-use plastic wrap. Looking for more eco-friendly tips? Subscribe to our mailing list! Is There Plastic in Tea Bags? 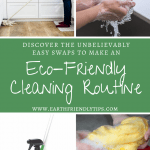 Interested in more eco-friendly tips? Subscribe to our mailing list! 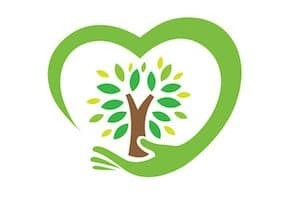 Earth Friendly Tips is a participant in the Amazon Services LLC Associates Program. As an Amazon Associate I earn from qualifying purchases.